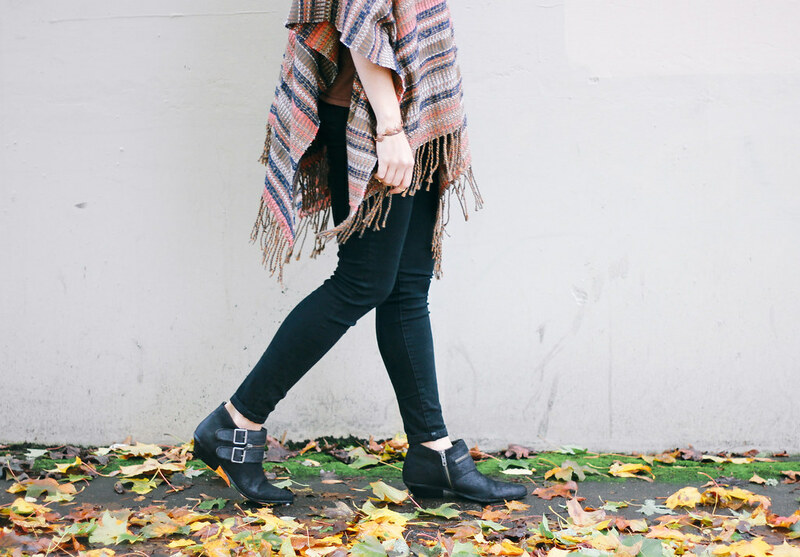 Just like most people, I definitely have a giant soft spot for fall. Seeing the leaves slowly change to bright and vibrant colors, snuggling up with a warm cup of coffee or cider, and the cold weather... which means layers! I love finally being able to bundle up under big coats and scarves. I'm super happy about my new addition to my closet, this poncho! When I first saw it, I was instantly drawn to the colors. My favorite part about it is that it doubles up as a scarf! It seriously is the perfect piece for my favorite time of year. 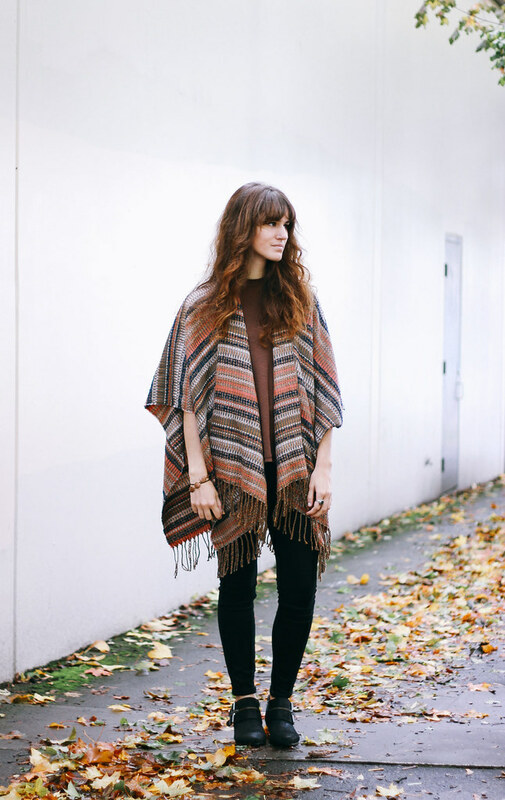 That poncho is beautiful, perfect for autumn! 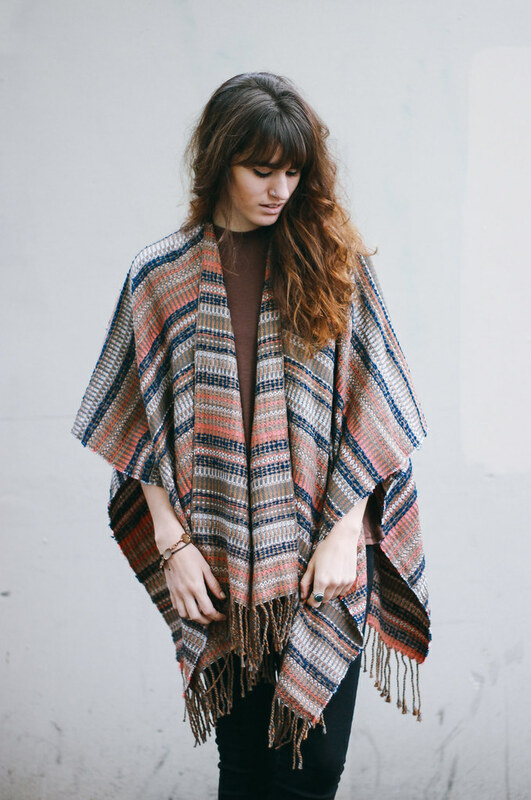 Love the poncho, such a gorgeous pattern. Darling, I love these beautiful colors! How in the world does one rock a poncho!!! 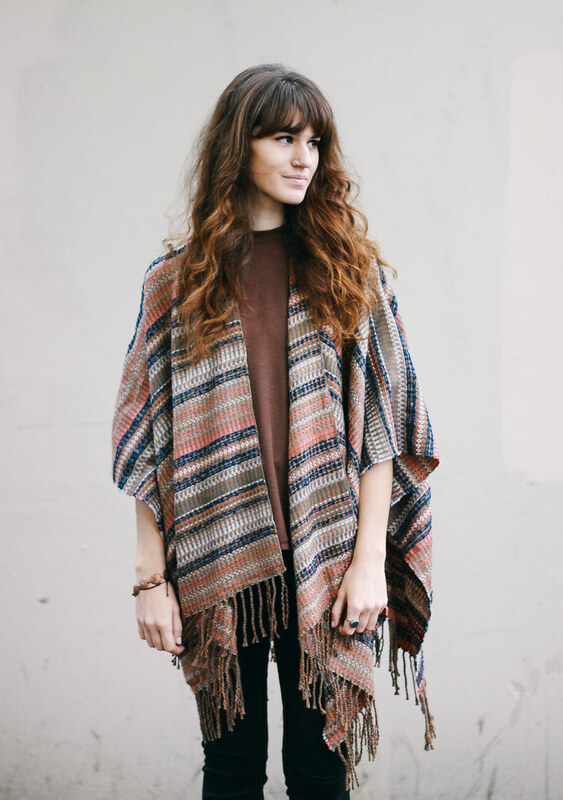 Love the poncho, such a nice colors!